In order to make a more open floor plan in this Chestnut Hill condo, sections of walls were removed to create the perfect entertaining space. 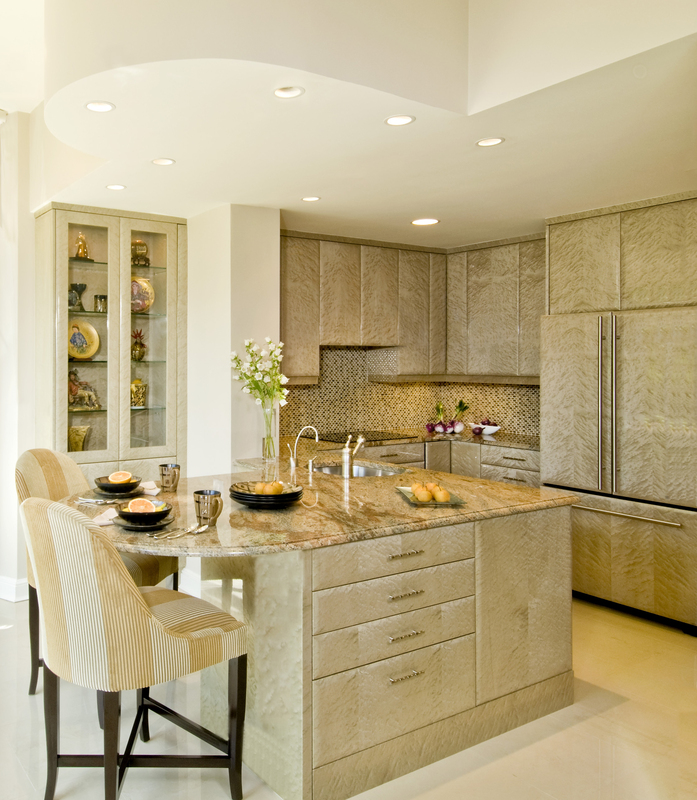 The elegant European cabinetry in bird’s eye maple is finished with a custom champagne stain and high-gloss finish. A curved soffit fitted with halogen lights mirrors the shape of the Juparana Vyara granite countertop. In the dining room, a mid-century chandelier shines with cascading glass droplets. The finish on the bird’s eye maple cabinets has a shimmering iridescent quality which appears almost metallic. 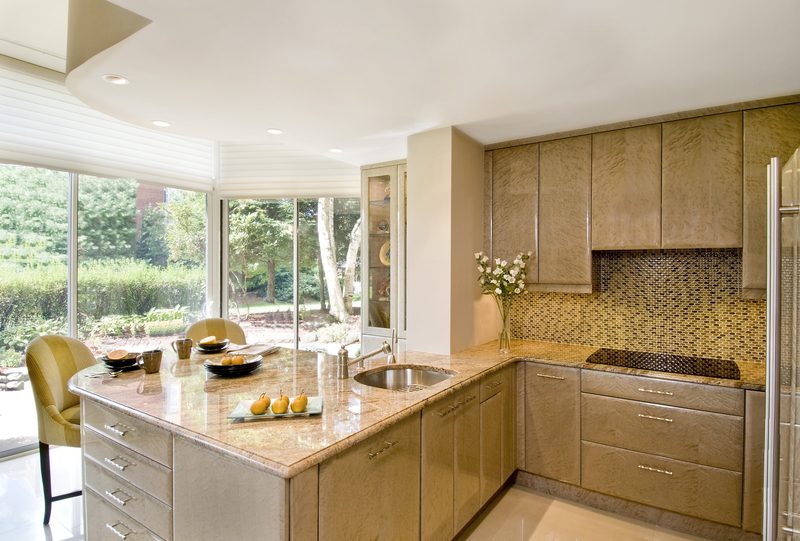 The backsplash is comprised of oval glass mosaic tiles in shades of bronze and taupe. 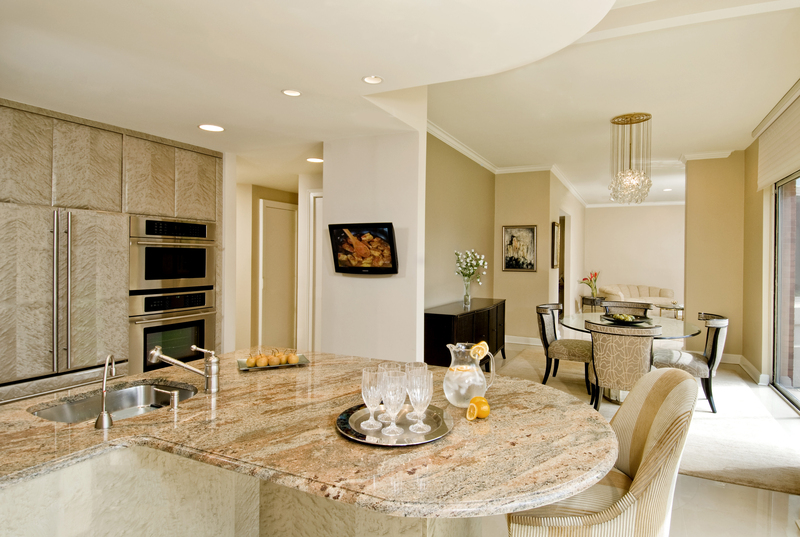 The oversized island also functions as a buffet for entertaining and provides generous storage in a small space. A custom glass door cabinet houses a treasured collection of hand-painted glass.